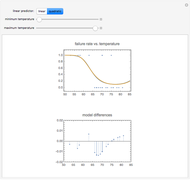 Logit and probit models are common binomial models for success or failure probabilities. Following the 1986 Challenger shuttle disaster due to a failed O-ring, the impact of air temperature on the the probability of at least one primary O-ring failure was analyzed from data from previous flights using a logit model. The analysis found that the probability of failure increased dramatically as temperature decreased. 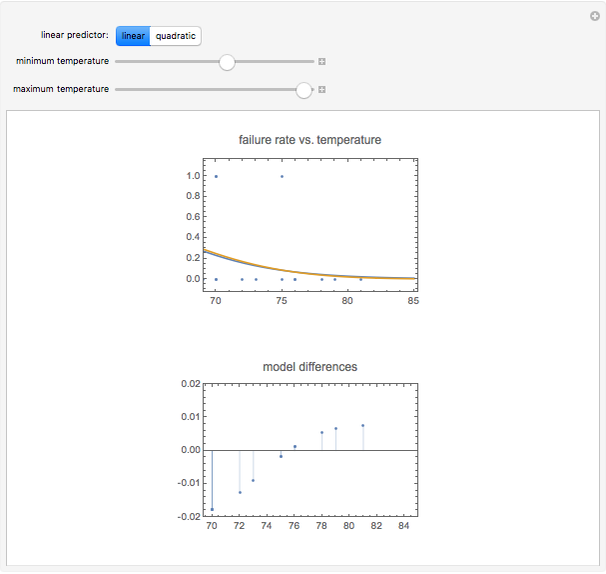 This Demonstration fits the failure data to logit and probit models and shows the two fits with the data and the difference between the two fitted models at the measured temperatures. 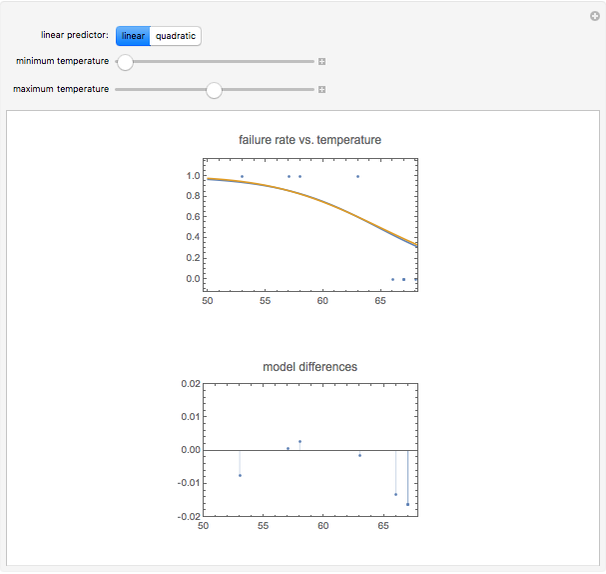 Use the buttons to select different forms for the linear predictor. 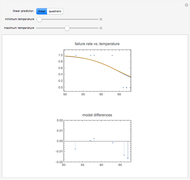 Move the sliders to zoom in and out on temperature ranges. The logit models have the form . Probit models have the form . The term is called the linear predictor and is linear in the parameters . The linear predictor is . The quadratic linear predictor is . The data is based on table 5.10 from A. Agresti, An Introduction to Categorical Data Analysis, New York: Wiley, 1996. The original source of the data is table 1 from S. R. Dalal, E. B. Fowlkes, and B. Hoadley, "Risk Analysis of Space Shuttle: Pre-Challenger Prediction of Failure," Journal of the American Statistical Association, 84(408), 1989 pp. 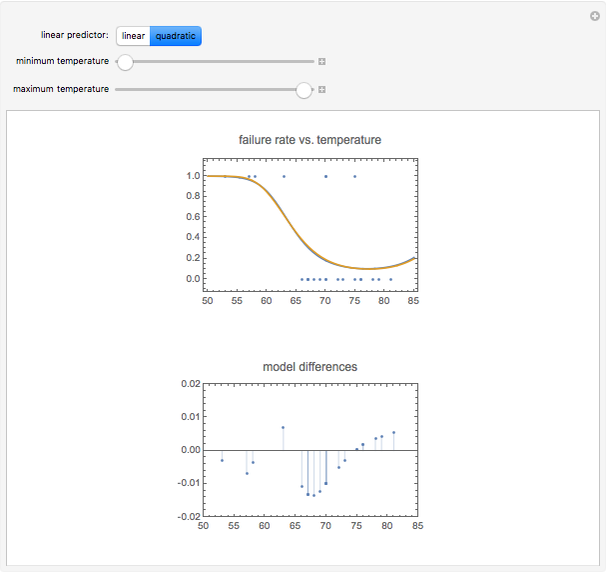 945–957, in which logistic regression models were used. Darren Glosemeyer "Logit and Probit Models for O-Ring Failure Data"